Need new laptop, but haven’t got a clue? We've got you covered! In this day and age, technology has become a necessity in our daily life, and a laptop is definitely one of them. 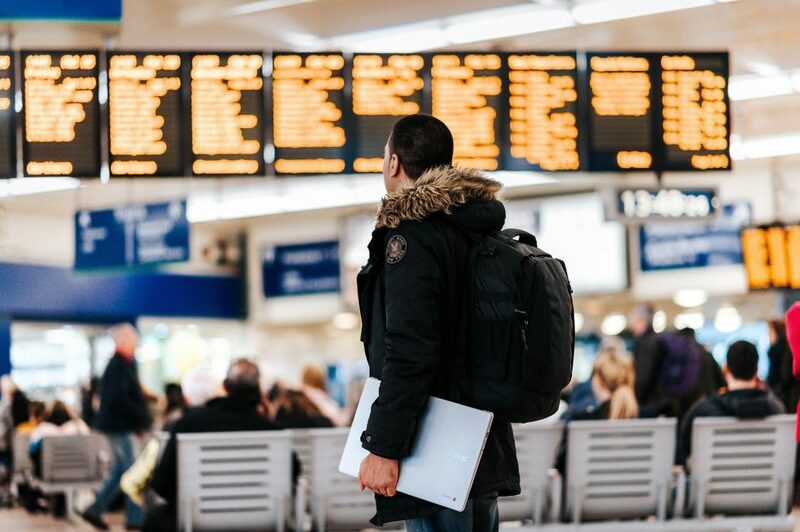 With so many types and brands of laptops to choose from, below is a list we have compiled, showing you the best of the best according to your needs. This laptop equipped with the 7th generation Intel Core 15 with Nvidia GeForce 940MX, you would be able to play most of the decent games on it on top of your day to day tasks. If you’re looking for a decent multi-purpose laptop for a student and at the same time be able to enjoy some games along the way, this might be a good choice. With the 4K display and Bang & Olufsen audio equipped with this laptop, it is great for music and video production. It would provide great audio quality, clear image, and smoother editing experience. With the RAM upgradeable to 16GB, your work would be seamless. This laptop with a day or night keyboard allows for typing comfortably in dimly lit environments with the backlit keyboard. Powered by the 8th Generation Intel Core i5, it is one of the best budget laptops with value for money performing specs. Great for everyday use or just as beginners laptop. Equipped with Windows 10 Home 64bits, this laptop is designed for home use. A 15.6” full HD screen is great for gaming, or for watching movies. It has decent and balanced specs which are suitable for everyday use at the home for everyone to use. If you are a businessman/woman on the go, this is what we would recommend. At a mere weight of 1.13kg, it is one of the best lightweight laptop that is easy to hold and have your work on the go. With a fantastic battery life of up to 15.5 hours with a rapid charging feature. The X1 Carbon is an ultrabook that is the smallest and thinnest for you to keep on working while on the move. If you’re a gamer and you are looking for a gaming laptop that is affordable and not overpriced, this is the one for you! Powered by the 7th Generation Intel Quad-core i5, 3.5GHz and is upgradable to the i7 with the Nvidia GeForce GTX 1050Ti graphics chip, it has great performance for the value of money. Additionally, with an anti-glare 15.6-inch monitor, you can enjoy nearly 8 hours while watching HD videos with the battery life without a problem. Do you constantly have to bring your laptop for meetings out of office? With this big screen laptop of 15.6” screen, it’s great for presentations. Plus, the backlit keyboard would definitely help when you are presenting a sure win proposal in the dark. The 8th generation Intel Core i7 together with the 16G RAM provides this laptop a powerful processing speed. Making this laptop one of the best i7 laptop to choose from, it not only starts up within 10 seconds, it welcomes you with a beautiful, vivid screen display. Not only is it a Full HD laptop with the 7th generation of Intel processor chip, your Dota 2 practice will be seamless and beautiful with the combination of NVIDIA graphics card that is on par with a desktop’s GPU. If there is any training center for the best Dota 2, this laptop could be that. Want a simple laptop but capable of flipping 360 degrees for architecture designing classes? We got you covered. This laptop is worth the money for students who want a laptop that is versatile and also great for performance. This laptop is tested for drops and even shakes. That’s how serious Lenovo is when it comes to ensuring not just their specs are reliable, but the built itself endures accidents. Plus, with the battery lasting more than 5 hours (with constant wifi usage) or 21 hours (with the minimal setting and no wifi), you can work with less worry if you need to go without an adaptor. If you’re looking for a tablet that works as a laptop which can easily fit into your messenger bag, this is the laptop that fits the bill. This tablet transforms into a laptop with a detachable screen and comes with ample amount of storage of 64GB. To top it off, the graphics card is integrated with an Intel chip. That is good enough to even be on par with higher priced tablets! Weightless is what many laptop carriers are after nowadays. This laptop itself is just 1.25kg! But don’t let the weight deceive you. It packs a punch with 8GB memory and 128GB SSD hard disc, which is configurable to 1.5TB. This is good enough for many tasks with no issues for light graphics designing even thanks to the newest addition to the air - Retina display! You've found a couple of laptops that you're interested in. But you're still unsure of which to go for? We understand that it can be a daunting and overwhelming task to choose the right one. Fret not, here are some main factors that you should consider before choosing a laptop. 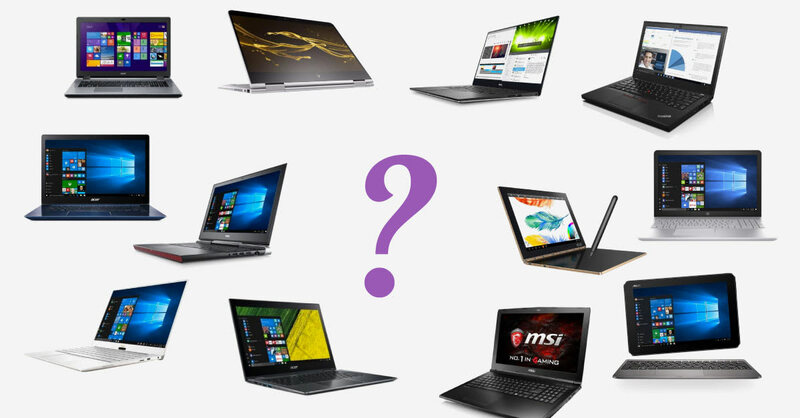 Do you want a big, 17-inch laptop or a compact 13-inch? Often, many underestimate the size and weight of their laptop. Though not applied to all, the biggest laptops (17 to 18 inches) are usually equipped with a powerful system and are also bulkier. The smallest laptops (11 to 12 inches) are, of course, equipped with a lighter system though they make up for it with their portability. The most popular sizes are 15 inches, where you'd get the best of both worlds. They are light enough to be carried around and are powerful enough to run a couple of popular heavy-duty games. Still, they are highly recommended for those who will not be carrying the laptop around too much. 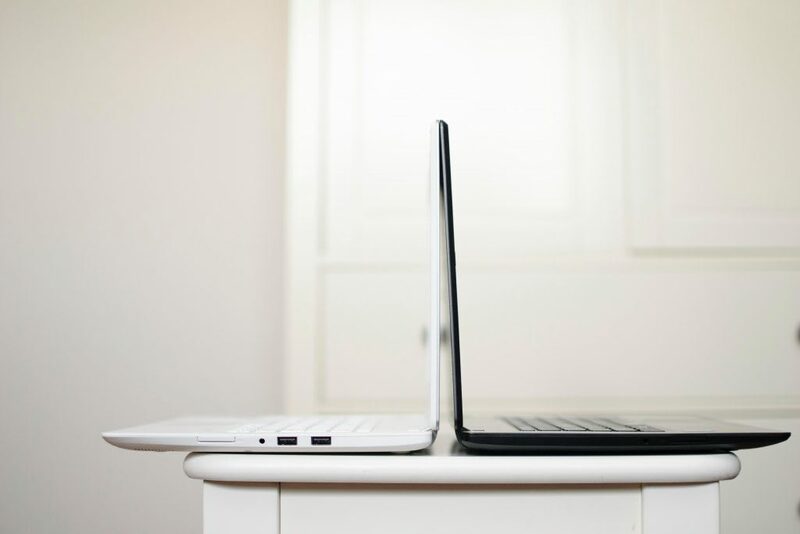 Otherwise, you can opt for a 13 to 14 inches laptop, which is a less powerful but much lighter option. This is perhaps the most popular question that a salesman will ask you. "What do you plan to do with your laptop?" At a simpler explanation, just take a look at the CPU. 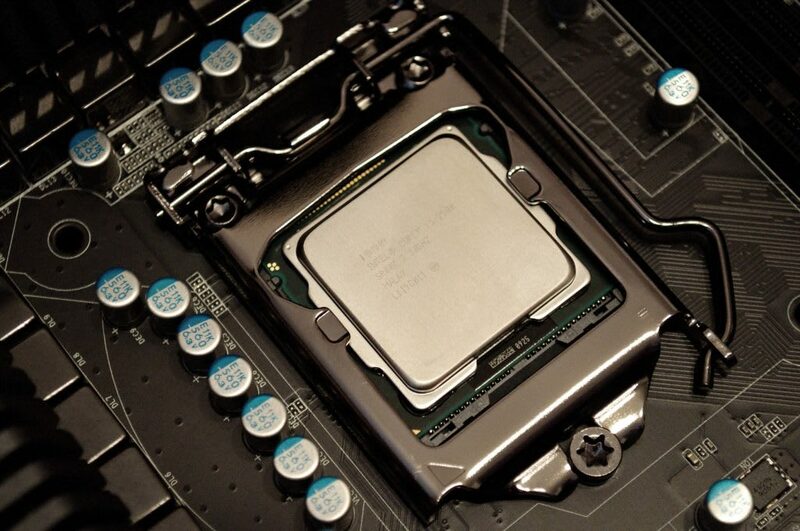 A mainstream and popular choice is the Intel Core i5. In general, they offer the best balance for both price and performance. Intel Core i7 is a step above i5 (suitable for gaming as it is more powerful, and also more expensive) while i3 is a step lower (great for simple browsing and office work). Check if your choices are equipped with the right features and hardware that you’ll need. How much storage space is there? Is the 8 GB RAM upgradeable? Does it have an Optical Disc Drive (This feature is becoming uncommon)? By also tying back to what you’ll be doing with your laptop, the laptop’s hardware will help determine if you’re buying the right computer. You’ll be saving yourself unnecessary spending on upgrades which can be costly. No matter how well-equipped your laptop is, the most important thing is that it can do what you need it for. It is also important to know that no laptop is made perfect, so leverage and choose one where you wouldn't need to spend too much/expensive upgrades on.